San Francisco, Calif. (October 11, 2016) – San Francisco real estate developer DM Development announces the acquisition and development of two residential projects in San Francisco’s desirable Marina District – 2465 Van Ness between Union and Green Streets and 2301 Lombard between Pierce and Scott Streets. The result of winning a highly competitive selection process with Chevron® to acquire and build on both sites, DM Development aims to catalyze the redevelopment of San Francisco’s northern gateway and provide housing options to a neighborhood with historically low residential inventory. Following the company’s transformative developments in Hayes Valley at 450 Hayes, 400 Grove and 8 Octavia, the Van Ness and Lombard properties are the latest projects in DM Development’s growing San Francisco portfolio, which also includes residential projects at 815 Tennessee and 2290 3rd Street in Dogpatch, and 311 Grove and Parcel T in Hayes Valley. 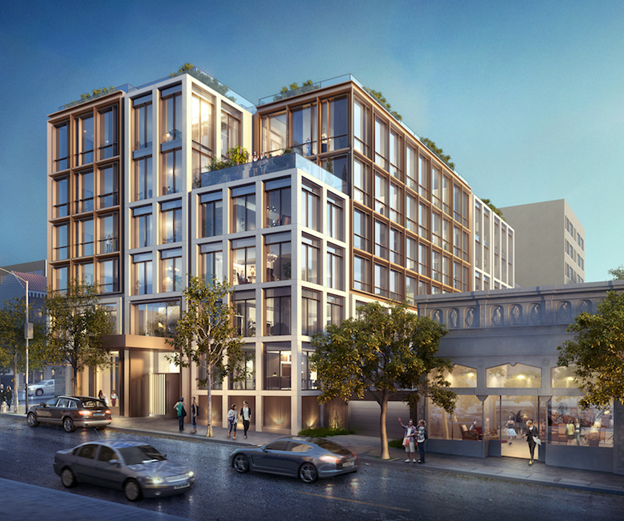 “With the acquisition of these prime parcels, we’re eager to begin development and continue our firm’s trajectory of providing exceptional, thoughtfully designed, and high quality residences in San Francisco. Complemented by their locations in one of San Francisco’s most iconic neighborhoods, these properties will provide access to desirable neighborhood amenities, spectacular Golden Gate Bridge and water views, exceptional architectural design features and community-oriented, curated street level retail at both sites that will enrich the neighborhood,” says DM Development Principal Mark MacDonald. DM Development recently closed on $35 million in equity financing for both sites, which are planned to start construction in late 2017, with completion slated for 2019. Positioned at the intersection of San Francisco’s most sought after neighborhoods – the Marina, Cow Hollow, Russian Hill and Pacific Heights – 2465 Van Ness is just blocks from the city’s northern waterfront. These 41 condominium residences designed by award-winning Handel Architects will include one-, two- and three-bedroom homes featuring elegant, stately and contemporary design for distinctive urban living. A large common roof deck and several private outdoor spaces will enable residents to enjoy spectacular views of the Golden Gate Bridge and the San Francisco Bay, while ground-level commercial space will enhance and beautify the streetscape and add convenience and enjoyment for residents and neighbors. 2301 Lombard is prominently located between two very popular shopping and dining streets, Chestnut and Union in the Cow Hollow, Marina, and Pacific Heights neighborhoods. 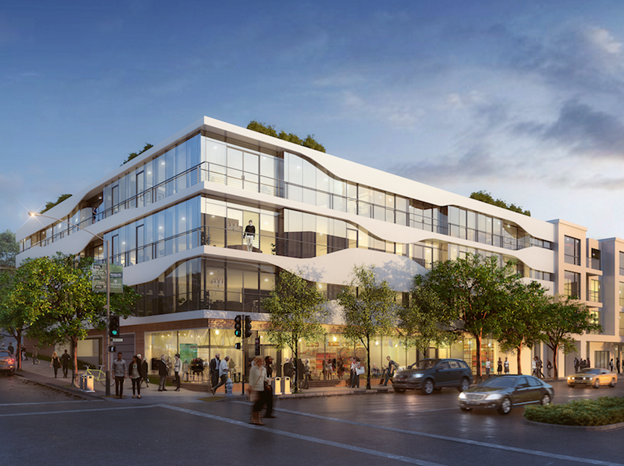 Also designed by Handel Architects, the 22-unit building’s exterior is inspired by the sinuating lines of the surrounding hills and San Francisco Bay. The property will provide one-, two- and three-bedroom residences with several private roof terraces and a large common roof deck, featuring stunning panoramic views of the city, Bay and Golden Gate Bridge. A generous commercial space located on Lombard Street will activate this portion of Lombard Street, provide a useful amenity for the neighborhood, and further enhance the surrounding area. Walkability to neighborhood amenities on Chestnut Street and Union Street will make this address a highly coveted residential location. DM Development is a real estate development and investment firm based in San Francisco. DM Development sets new standards for residential development by creating and investing in projects that combine bold architectural design with progressive sustainability features to enrich communities and redefine modern living. The company has active projects in San Francisco and Los Angeles. www.dm-dev.com. DM Development is a real estate development and investment firm based in San Francisco. DM Development sets new standards for residential development by creating and investing in projects that combine bold architectural design with progressive sustainability features to enrich communities and redefine modern living.